The community will celebrate local artists and their work on April 3rd during the Franklin Art Scene, a free event that allows the public to appreciate Williamson County culture every first Friday of the month. Coordinated by the Downtown Franklin Association (that’s us! ), the art crawl boasts more than 30 participating locations, with locations dispersed in and around downtown—including the Second South District and Bridge Street, as well as up and down Columbia Avenue. Landmark Community Bank, over at 198 E. Main Street, is showcasing the works of Wendy Fiedor during the April 3rd event. 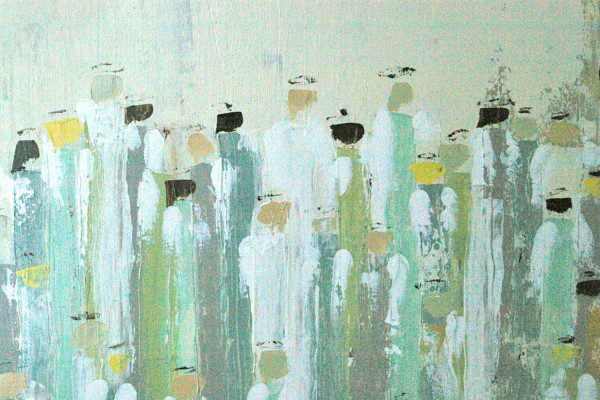 Fiedor is a talented local painter and photographer, who donated a portion of her net sales to Samaritan’s Purse in 2014, specifically to provide relief to Christians who are being persecuted by ISIS in the Middle East. Swing by the bank to see her beautiful abstract, landscape and portrait work. On Friday, ECCO Salon‘s stylists will be showing off the latest European runway styles–and how they are achieved–at this month’s “The Art of Hair” exhibition. This promises a new twist to the Franklin Art Scene, as patrons will be able to interact with the stylists and more! Pedego Franklin–a new electric bike company located at the corner of First Avenue and E. Main Street–is showcasing the work of Ricky and Lisa Smith, a husband-and-wife duo who make up Smith Fine Art Photography. The pair specialize in photographing the outdoors, including waterfalls, sunrises and sunsets, wild flowers and historic architecture within Tennessee. Hope Church, located at 137 Fourth Avenue South, is hosting Tucky Myhre, an artist with a desire to inspire. Tucky co-founded “Ignite Life 1010″ ministries and has a passion to inspire people through the arts. Nurture House at 232 Third Avenue North is hosting work by award-winning artists Cheryl Buehring, who is one of less than a dozen people around the globe that makes coffee painting their primary expression of creativity. A professional watercolorist, she also periodically use juice from other organic materials to add a splash of color to her sepia-toned natural artwork. Puckett’s Boat House is joining the crawl this month, and helping promote local artist Marilyn Farnsworth Wendling, whose zest for life is evident in her plein air-style land and waterscapes. Wendling’s command on light and color harmony takes place using a very limited palette of only red, yellow, blue and white. For more information on the event or to download maps and applications, visit www.franklinartscene.com.